Powers down to a coma when not in use and when walking as a group. When activated by riders legs, will complete the task at hand before returning to energy saver mode. Eats for approximately 23.5 hours a day. Could find grass in a desert. Will search through bedding for blades of hay after eating everything in the haynet. Wears grass reins as otherwise would spend entire lesson trying to eat leaves, twigs and grass verges. 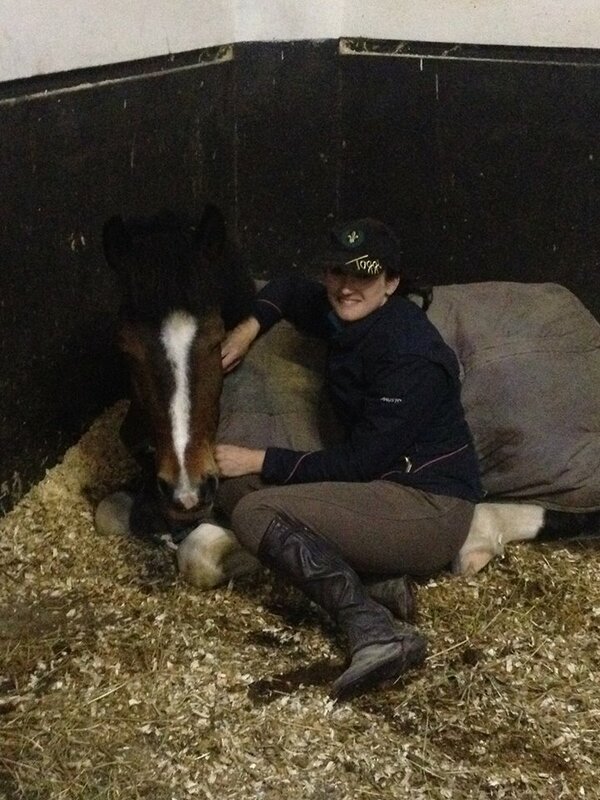 Retired show jumper that still is a five year old at heart and is reliving the glory days. Has no respect for cross poles or anything under 90cm. Will throw in a long stride or bounce a double for fun when not feeling particularly challenged. Only has two gears – full stop and full speed. Alternates between the two. Stops at the end of the ride like a cowboy’s horse in a western film. Horse or pony with a heart of gold. Will carefully jump anything in front of it despite what the rider is doing up on top and would probably still jump if rider dropped the reins entirely and hugged it’s neck. Will slow down and put neck up to rebalance a wobbly rider. Has the patience of a saint and never reacts negatively to the inexperienced no matter what they do. Like The Saint but super sized. As gentle as they are high. Not bothered at all by having several children climbing up all over them to groom them and loves the bit of attention. Usually the oldest mare on the block. Cruises the arena and stables with an air of authority and only has genuine respect for experienced staff. Has to be in a set position in the ride to ensure they are ahead of the horses they have deemed to be inferior to them. Will put other ponies in their place when turned out and will demand to be fed first. Will do whatever the rider asks provided they feel like doing it. The ultimate follower. Would literally trot through fire or off a cliff without complaint provided there was another horse or pony in front of them. Lacks independence and hates to ever be in front of the group. Terrified of The Matriarch. When reaching the end of the ride, will try to hide behind the pony in front of them as they hate to have to pass out the group. Wants to be in front and so pulls the arms off the rider when kept behind the lead horse when riding in a group. When switched to being lead file, gets confused and becomes backwards to ride and only half as interested in moving forwards. Hates to touch a pole with their hoof and so will clear a pole or fence by a mile or not at all. Hasn’t actually been in to any of the corners of the arena in years. Ignores riders efforts to put them there and rides all square or rectangular arenas as a giant circle. Turns like a double decker bus. Can fit into the feed room and will do so at every opportunity. Lives for the moment a rider forgets to fully close a door. Can exit stable in such conditions in approximately 2 seconds flat. When this pony is good, they are very very good. When they are not they are as cheeky as possible. Instructors fear the glint in their eye when this pony decides to take their halo off. Angelic to ride and incredibly tolerant of small children. Bold as brass for yard staff when stabled. Pretends to be a complete lemming and dog lazy and does as little as they can get away with. With an experienced rider on board transforms into a forward thinking super star who is dying to please. Requires rider knowledge of which buttons to press to activate this mode. Rarely manures in the stable as they save it all up for bathroom breaks when ridden. This usually coincides with it being their turn to do something. This horse or pony is the bane of the life of whoever is on poo picking duty. Walks, trots and canters at their own pace without every changing tempo or rhythm or losing balance. Riders efforts to change this go completely un noticed as horse / pony demonstrates immunity to these aids. Will even jump out of set canter rhythm. Hates flatwork and sees it as something the rider makes them do before they get to jump. Immediately locks eyes on the nearest jump when entering the arena. Almost bursts with excitement when poles are produced as poles mean jumping which means fun. Quivers in excitement when it is their turn to jump. Pony was once white and has now faded to a shade of lemon or yellow. Will roll face down in poo at the mention of being brought outside the stable. Comes in from the field wearing mud from ears to heels. 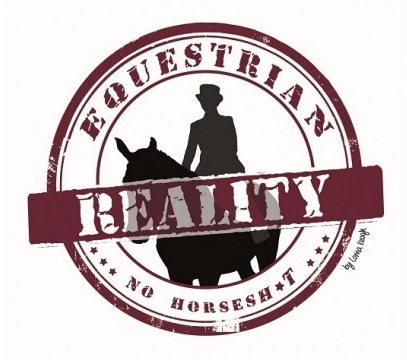 Posted on March 6, 2015, in General and tagged Association or irish riding establishments, eiding schools in ireland, equestrian reality, horse riding, ireland, pony, pony personalities, riding instructor, riding lessons, riding school, riding school pony, riding school pony temperment, riding school pony type, riding schools in ireland. Bookmark the permalink. 4 Comments. Haha! I know about three ponies for each of those! What a funny post!